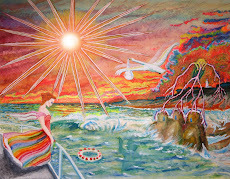 These are two oil paintings which are inspired by the journey of life, we are all on. They reflect my life experiences since I have finally been able to live my life true to my heART. 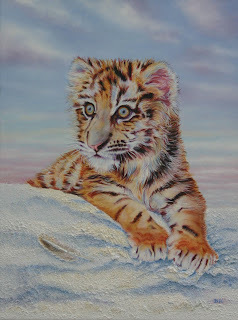 The young tiger cub painting is called "Spirit of adventure". 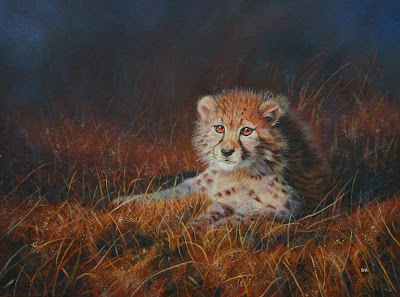 The cheetah cub painting is my most recent & is called "In to the light". How we react to life’s challenges, how we learn from our experiences is reflected in our spirit. I have been so grateful & blessed to have such a wonderful family & friends who have helped me to feel more alive than ever before. You have all been so generous to share your spirit with me. From far & wide, all over the world, your “Spirit of adventure” has helped me to keep climbing, to push my boundaries & do the best I possibly can. The little tiger cub is reaching out for his dream, exploring his new world. Where ever you look you can see inspiration & my life has been so enriched by sharing your lives. I could list so many of you but true friends do not have to list all the things they do for each other. As we progress through life's rich challenges it can feel like we are coming out from the darkness “In to the light”. That is very much how it has felt for me most of this year. The little cheetah cub was bathed in the late November sun which was setting low in the sky, some two year ago. I shared the magical experience with a dear friend called Anne who has since had major neck & back surgery, & two knee replacements. I have never heard her complain. She is always devoting her time for others. She will be with me there again this coming week. I will be by her side working with her. Her courage, her compassion, her creative genius but most all her remarkable spirit is an inspiration to so many, as you are! The two paintings are my first oil paintings for nearly three years & all I have had time to paint such has been this incredibly busy year. It is now time for our annual art wildlife exhibition again. I am supposed to be helping get it all ready over the next 3-4 days. I was not sure if I would be well enough to even attend this year. It used to be such a joy such a haven. Your kind words have helped pull me through. I have fallen behind & been rather reluctant in inviting friends to come along. I am not sure if it is the right kind of atmosphere. I am a little unsure if I will be able to survive all the emotions but recently my spirit has began to glow again. My parents are going to try to attend but even they have been put off by recent events. The gender stuff has not been a problem at all, it is the other circumstances involving friendships which have been so complicated & caused so much unnecessary upset. It is sometimes easy for me as a person whose life is in transition to believe that I am the same person, even though I am undergoing great change. Nothing necessarily stays the same for anyone. 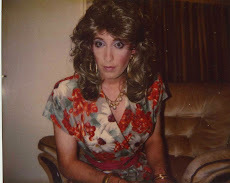 I failed to appreciate that during life, in my case during my sometimes all consuming transition, other people/friends, family can all change too. We all have our own lives to live. I had a lovely time meeting Jo at the exhibition last year. I wish you could all come along. It is so important to find time for family & loved ones. My thoughts are with dear Alan who has sadly suffered the loss of his dear Auntie Frances. His recent blog post is so poignant. 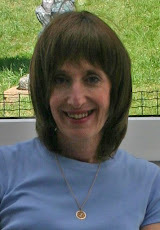 My thoughts are also with my dear friend Denise who is having her GRS this morning. I hope it brings peace where once was conflict & that she heals really quickly. Thank you for being such a good friends. Time after time your kindness has reached out & touched my heart. Thank you for the inspiration. I'd love to see the exhibition, Debbie. Where is it, please, and when would you recommend going? So glad you're part of it. 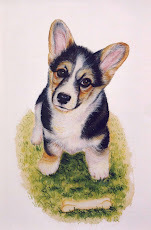 As always, your paintings are stunning, and I love seeing the perseverance of your indomitable spirit shine through every high and low. I'm glad you put up pictures of your paintings again. The paintings are stunning and I hope there will be many more and the exhibition goes well. It is inspiring to see you moving forward and overcoming the challenages you've faced. Enjoy yourself with the exhibition. May the exhibit and all that goes with it turn out as wonderfully as your paintings, my friend! I hope your parents do decide to go and see your work properly adored! You are truly talented. I just stared at those cats as if they were pictures and not paintings. Just beautiful.